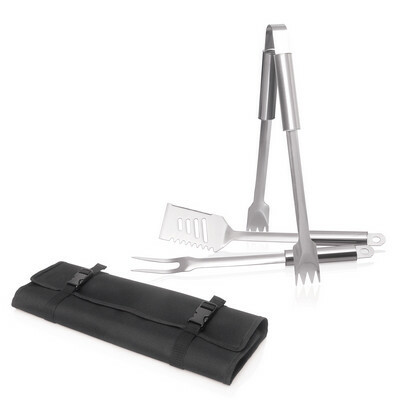 Description: The quality stainless steel tools in this BBQ set can be laser engraved with your client`s promotional logo creating a stylish gift. Packed in a custom roll-up pouch, which can also be printed with your client`s corporate logo, this set is sure to make a good impression. Colours: Black. Materials: Stainless Steel / Brushed Stainless Steel. Decoration Method: Pad Print.